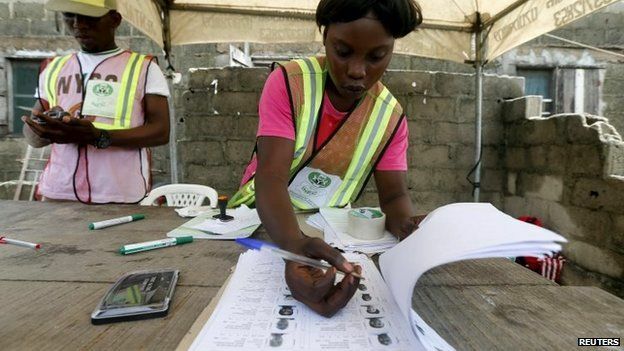 The party of Nigeria's incoming president has made more gains in the final round of this year's election process - for control of the states. The All Progressives Congress (APC) has retained Lagos and gained northern states Kaduna and Katsina. It follows the APC's defeat of the incumbent People's Democratic Party (PDP) in the presidential poll. Final results for 29 governorships and all 36 state assemblies are still being tallied. Nigeria's governors control huge budgets and are among the country's most influential politicians. 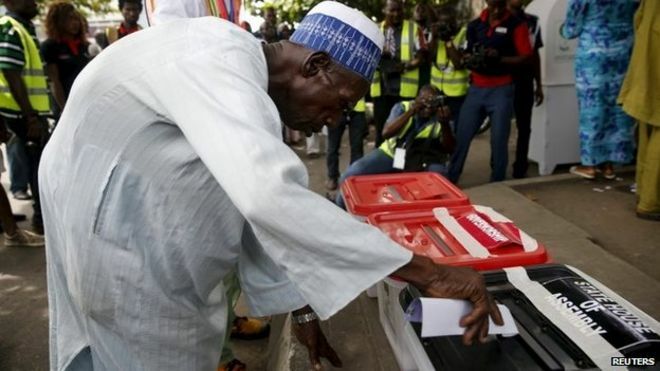 The regional elections come two weeks after Muhammadu Buhari defeated incumbent President Goodluck Jonathan to become the country's first opposition candidate to win a presidential poll. On Sunday, the Independent National Electoral Commission (Inec) announced that Gen Buhari's APC had retained power in Lagos state and taken control of the governor's seats in Kaduna and Katsina from President Jonathan's PDP. It means that when Gen Buhari takes over the presidency it will be the first time that the party of the president has controlled Lagos - the commercial capital - since the end of military rule in 1999. It will also be the first time a party other than the PDP has held the two northern states since democracy returned. The PDP candidate of north-eastern Adamawa issued a concession statement, although results in that state have not yet been officially announced. Nigeria's 36 governors enjoy wide powers and some, especially in oil-producing areas, control bigger budgets than those of national governments in some neighbouring West African countries. Inec reported 66 violent incidents at polling stations - the most taking place in the oil-rich state of Rivers and other southern states - where voting at some polling stations had to be extended. The PDP was returned in Rivers, the state electoral commission said on Monday.